Partner of Tax and Business Efficiency Department, АА Juscutum. 2013 — 2016; LLC Law Firm Lex Center, СЕО, Manager, 2010 — 2012; LLC UКRTRANSENERGO, Associate, head of legal department, 2007 — 2010. Developing the concept and acting as СЕО of project, which aimed to increase business performance of Trade Bot. Ukrainian law firm Juscutum was founded in 2008. We have the most up-to-date legal practice geared toward achieving a result, efficiency, and quality, which benefits from the latest technology and leading management principles. We try to provide our clients with more than just legal advice, doing our best to provide a tailored solution in each case. Therefore, together with standard legal services, our company offers something you will find nowhere else: conflict management, business safety advice, tax and business efficiency advice, as well as in the field of Technology, Media, and Telecommunications, cryptocurrencies and blockchain. Juscutum makes its own legal products — self-developed technical solutions and ready-made products — something which hardly any consulting company does nowadays. Ukrainian law firm Juscutum was founded in 2008. We have the most up-to-date legal practice geared toward achieving a result, efficiency, and quality, which benefits from the latest technology and leading management principles. We try to provide our clients with more than just legal advice, doing our best to provide a tailored solution in each case. Therefore, together with standard legal services, our company offers something you will find nowhere else: conflict management, business safety advice, tax and business efficiency advice, as well as in the field of Technology, Media, and Telecommunications, cryptocurrencies and blockchain. Juscutum makes its own legal products — self-developed technical solutions and ready-made products — which hardly any consulting company does nowadays. Ruslan Redka is a partner of the Corporate Law Practice at the firm. The team applies complex approaches to solve any corporate problems of your business, considering large transactions, individual cases, as well as collecting every little detail to form one working mechanism. We help to build a comprehensive business structure for your company. to make your cooperation as convenient as possible. Natalia Radchenko is a partner of the Tax & Business Efficiency Practice. The company’s efficiency is first and foremost influenced by the adequately selected taxation model and the structure of business processes where each yields most benefit to business in general. We develop optimised tax and automated business solutions both for companies in traditional real economy sectors and innovational areas developing rapidly. Kseniia Prokonova is a partner of the Conflict Mana-gement Practice at Juscutum. Our goal is to reveal your true interests and resolve the conflict in the most efficient way. It can be a judicial dispute, collection of compromising material, public relations, business mediation and much more. By achieving goals, we maintain the reputation of our customers. Dmitry Onuchenko is a manager of the Business Security Practice. We are consistent in the defence of our clients, up to initiating criminal proceedings against a client’s offenders. To maximise the protection of clients against illegal actions by law-enforcement agencies, we have created a mobile application called Juscutum Legal Alarm. This is an alarm button. After pressing it, we receive your location coordinates, enabling us to avoid useless communication with law-enforcers. We know exactly where you are and will be able to find and protect you. The world is changing. Global business has already passed the point of no return and is introducing management systems that are based on continuous improvement and information management. Optimality is the new management. Because we can optimize everything. The information management environment includes many sections: Enterprise Content Management (ECM), electronic document management (ERM), business process management (BPM), taxonomy and metadata, etc. Companies use technologies to successfully implementation an integrated system of information management. One of the forms of improving business efficiency is the introduction of electronic document management systems at companies and data digitization. This refers not only to global ERP-systems that large businesses can afford, but to other legaltech and fintech developments for small and medium-sized businesses, whose goal is ultimately to accelerate the exchange of information in the company, optimize processing data and business processes in general. Many regulatory documents were adopted in Ukraine to make automation really work. That’s because technologies like robotic process automation work at the intersection of copyrights, civil and economic legal relationships, tax legal relations and financial law. Ukrainian legislation began to move towards digitalization in 1994 with the adoption of the Law of Ukraine No. 80-94vr On Information Protection in Information and Telecommunication Systems. It was in this law that the definition of an automated system was defined as a system that performs automated data processing. The previous Law of Ukraine No. 2657-12 On Information of 2 October 1992 introduced the term “information” into the legal environment of Ukraine, which didn’t even contain a hint that information could exist in electronic form. 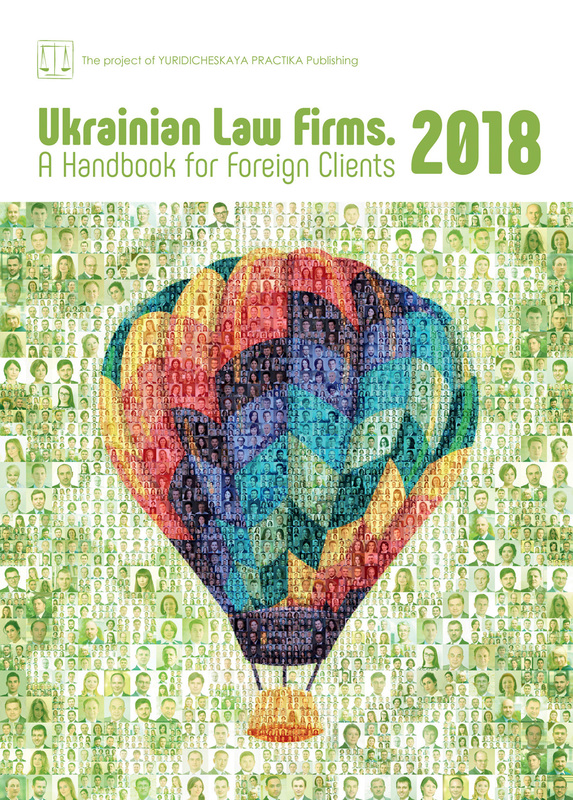 In the first edition of the Law of Ukraine No. 2657-12, information was defined as documented or publicly disclosed data about events and phenomena that occur in society, the state and natural environment. Eleven years passed by, and only in the amended version of the Law of Ukraine No. 2657-12 of 6 May 2005 did lawmakers change the definition and recognize that information is any information and/or data that can be stored on physical media or displayed electronically. This definition of information is preserved as of today. On 16 January 2003, the new Civil Code of Ukraine was adopted, which provided for the possibility to conclude contracts electronically. Part 1 of Article 205 of the Civil Code states that the electronic form of a document is a variant of the written form. A little later, on 22 May 2003 the Law of Ukraine No. 851-15 On Electronic Documents and Electronic Document Management was adopted. It defined the electronic document as a document, information in which is recorded in the form of electronic data, consisting of mandatory details of the document. It was back then that the “start” was given to development of the ERP market in Ukraine. A digital signature can be used to identify the author of an electronic document. Ukrainian legislation distinguishes between electronic digital signature (EDS) and other electronic signatures. Relations, connected with the generation and use of EDS, are currently regulated by another Law of Ukraine, No. 852-IV On Electronic Digital Signatures. However, by agreement, parties to the contract may use other types of electronic signatures, for example, digital identifiers. The use of digital signatures is a well-established practice in e-banking and e-commerce. Despite the fact that the legislative regulation of the sphere of electronic document circulation has existed for more than 15 years, judicial practice in the sphere of using electronic documents is only being formed. So, for example, on the issue of the legitimacy of treaties that are concluded using e-mail, there are both positive and negative court decisions. However, this practice enables business to develop accurate approaches to proving the fact of a contract’s conclusion. The main positive point is that courts basically accept the fact of existence of electronic documents, and emphasize that the parties must be more rigorous in their conclusion. In November 2018, the new Law of Ukraine No. 2155-VIII On Electronic Trust Services will come into force. This law was adopted for implementation into Ukrainian legislation of the provisions of Regulation (EU) No. 910/2014 of the European Parliament and of the Council of 23 July 2014 on electronic identification and trust services for electronic transactions on the internal market (the so-called eIDAS Regulation). Electronic trust services under eIDAS include electronic signatures, electronic tags, electronic timestamps, electronic certificates and other electronic infrastructure elements. Adoption of the eIDAS Regulation should allow EU citizens, including Ukrainians, to submit electronic tax declarations, open bank accounts remotely, participate in litigation via the Internet, participate fully in cross-border electronic commerce. Attention should also be paid to the preferential tax regime, which operates in Ukraine for sales of software products. Thus, till 1 January 2023, operations for the supply of software products, as well as operations with software products, fees for which are not considered royalties, are exempted according to Para. No. 2-7 рр. 14.1225 р. 14.1. Article 14 of the Tax Code of Ukraine. Given that royalties in cash in Ukraine are not subject to VAT taxation either, one can observe growth in the software market and the emergence of new instruments for optimizing business processes. A new instrument for automation and optimization — a chatbot — is often used in fintech, legaltech and the marketing industry. Long-lasting businesses with a long-term strategy can also introduce the chatbots into business processes. On Electronic Documents and Electronic Document Management, Law of Ukraine No. 675-VIII On Electronic Commerce, Law of Ukraine No. 852-IV On Electronic Digital Signature, etc. — Monitoring and continuous improvement of new processes based on key performance indicators. The realization of high-quality reengineering requires the involvement of specialists from law, finance and IT fields. The author of this article used her tax legal background and understanding of business processes at companies in developing legal and financial models for solutions that enhance business efficiency. Undoubtedly, in the long term, the implementation of automated solutions is always more profitable and financially justified. Digitizing routine processes, the company uncovers the creative potential of employees and maximizes time, creating an opportunity for the development of the company as a whole.